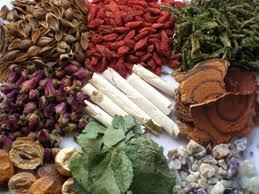 Combination of different kinds of Chinese herbal medicine to target a particular problem or problems for every individual patient can be prescribed. The prescription can be made in the form of dried herbs, powder sachets, tablets or capsules. The use of dried herbs involves soaking and boiling of all the herbs into a decoction, whereas the use of powder sachets is to be dissolved in boiling water. Patients can choose any form of prescription to suit their lifestyle and taste, all of which offer similar therapeutic effects.